Today, farmers can choose between granular and liquid fertilizers to ensure larger, healthier yields. Liquid fertilizer has increased in popularity in recent years and is an excellent option for those unsure which is the best choice. Here at Bottom Line Solutions we can help you determine what fertilizer option is right for your farm. 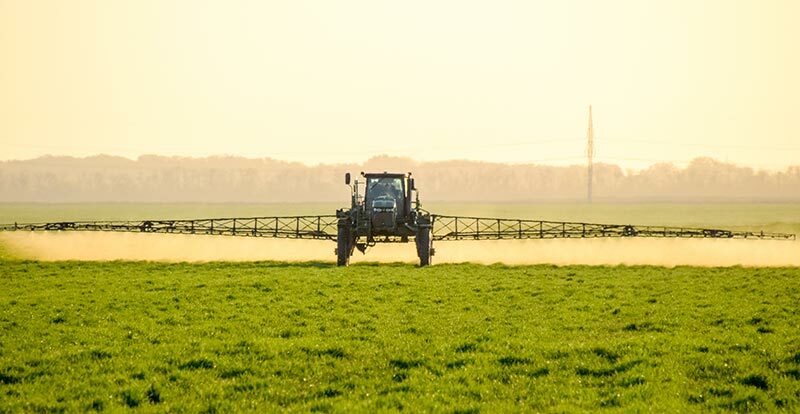 When granular fertilizers are applied, they can be dropped in patterns throughout fields that are not necessarily uniform, which simply is a matter of it being a solid rather than a liquid. By contrast, liquid fertilizers can seep into the soil and spread more uniformly, thus giving your fields an even consistent coating so that all plants receive the same nutrients regardless of location. It’s an easy process to apply the liquid fertilizer, and it is worked into the soil in more uniform ways. One of the benefits of liquid fertilizer is that because the liquid penetrates the soil immediately, plants are given faster access to the nutrients. Some plants will see results from this application almost immediately. In fact, many farmers use this type of fertilizer early in the season to ensure quick root growth so plants take hold when it is essential for them to do so. If blended with crop protection products, liquid fertilizers potentially work in a single pass for a season. These are perfectly acceptable ways to apply the fertilizer, all of which can prove easier and less time-consuming than granular fertilizer application. Liquid fertilizers are better at balancing the pH of the soil based on the chemicals they are delivering. Nitrogen, for example, can be incredibly helpful in the right amounts but also can kill plants if overapplied. Potassium-based fertilizers can be helpful, too, but only in the right amount. Liquid options can make for healthier plants, which is another reason why they often are a smart option for crops. If you would like to learn more about the most effective application of liquid fertilizers. Now is the time to consider the pros and cons of the different types of fertilizer you plan to use this season. We are here to help you make the right decisions.